The SynGas produced can be utilized in different forms. 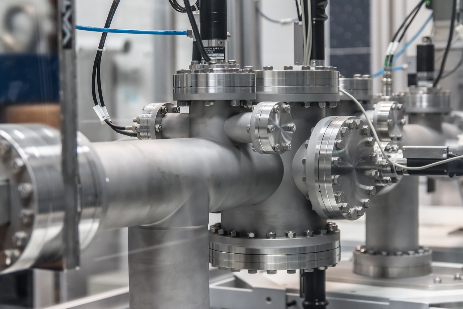 The simplest form is to clean the SynGas to specification and to supply it into an existing gas network for heating or power generation purposes. This simple form of conversion requires only the materials treatment at the front end of the gasifier and a gas cleaner and gas compressor at the back end of the gasifier. This application can be found in regions where natural gas resources are limited but steam, electricity or heating requirements or a combination of it are in demand. See below an application using wood and refuse from MSW (RDF) to feed our Gasifier. The next step after the gasification is the SynGas cleaning. The clean SynGas is then fed to a low BTU Gas Burner. This is a simple way of SynGas utilization. Also it is a very efficient energy recovering system, never reached in conventional incineration or other RDF disposal systems. 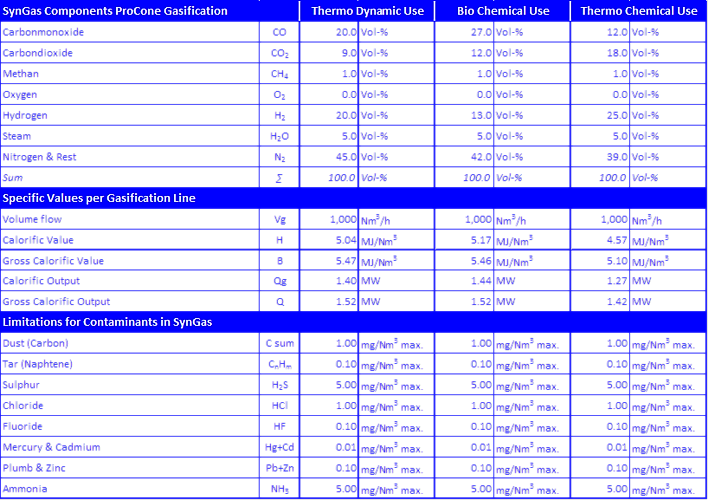 See below a table for typical SynGas specification.